The Wildlife Portraits is designed to advertise almost any business or service at a very low cost. Promotional applications include banking, credit unions, consumer and your business as well. Overall size open is 11" wide x 19" high. 13 month spiral bound promotional calendar. You MUST order calendars in lots of 100 units over the minimum shown below. For advertising calendars inserted into mailing envelopes add $.26 each. Delivery from date of order for advertising calendars is 2 weeks. 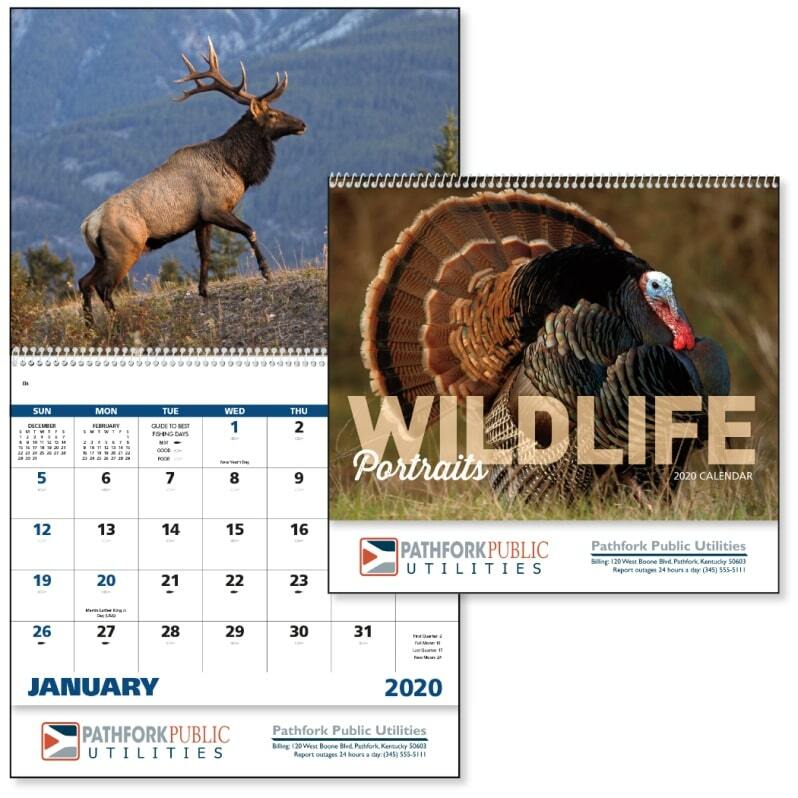 Stock is available for imprinted calendars thru Dec. 28 yearly. The price includes a one color imprint in an area 10" w x 1 3/8" h.
ANY COLOR printed using factory standard four color process. NO SETUP. Any number of colors printed add $.12 each unit. Logos do require Illustrator or In Design ai, eps or pdf file.